WE CAN USUALLY PROVIDE A 4 HOUR ACADEMIC POSTER PRINTING TURNAROUND! If your poster artwork is ready to go and we receive it before 1pm Monday to Friday, we’ll have it printed and ready for collection by 5pm the same day. 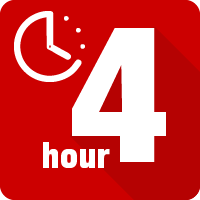 Jobs received after 1pm will be ready for the next weekday morning. We’re happy to do URGENT POSTER PRINTING – if your deadline’s close just call us on 0114 275 4737 or email info@glsdigital.co.uk. Not to be confused with general posters, poster presentations are a specific style of presenting information, commonly used by students and academics for presenting research information for peer review and assessment. Of course, if you need to make a poster presentation, you already knew that! What you might not know, however, is that here at G&L Services in Sheffield we specialise in printing poster presentations for many Sheffield based students each year. You might find that we are your fastest, most efficient option, especially if you are up against your presentation deadline, turning posters around often more quickly than is possible using in-house university resources. We print academic posters on good quality 200gm satin paper, with long life and water resistant inks.